Buying a 2018 Mazda Mazda3, and saving $1750 off of MSRP. Buying a 2018 Mazda Mazda3, and saving $2500 off of MSRP. Leasing a 2012 Mazda Mazda3, and saving $1500 off of MSRP. You need to have the wholesale price in order to know if you're really getting a deal or not. I chose my dealer as I've worked with Jeff Holley before and he does not pressure you. The whole process is very laid back and I had all my questions answered with the correct numbers on papers ready for when I walked into the dealership. Buying a 2008 Mazda Mazda3, and saving $2000 off of MSRP. Buying a 2011 Mazda Mazda3, and saving $1000 off of MSRP. I simply pulled out the report once we sat down to talk about price. The sales rep went to see his manager, who agreed to match the price. I ended up offering $500 on top of the wholesale price. I didn't go to the dealer recommended by CCC, which may have stalled the process a bit. I'm sure if you go to the recommended dealer/sales rep, it will be much faster, as they're expecting you to pay wholesale price (plus a small markup for their profit, of course) We also got to use the $500 recent grad rebate. Just remember that the additional factory rebates of $1000-$2000 only apply to cash purchases - you won't get them if you finance/lease. Buying a 2009 Mazda MAZDA3, and saving $4000 off of MSRP. Find a good sales rep who is honest and stands by his product/price. Buying a 2010 Mazda MAZDA3, and saving $10000 off of MSRP. I chose Jeff Holley at Mazda of Toronto due to his strong reputation on the Toronto Mazda 3 Club and Red Flag Deals. Jeff is known for his full disclosure, and he was very upfront about everything, even sharing extra deals that weren't on the Car Cost Canada report. Buying a 2010 Mazda MAZDA3, and saving $1500 off of MSRP. Very good sales rep. Very poor dealership. Buying a 2010 Mazda MAZDA3, and saving $3000 off of MSRP. Being a Car Cost Canada member made negotiating simple. I calculated different prices based on margin (2%-5%), went in with my numbers and the Car Cost Canada print out. Mazda of Toronto immediately dropped the price from a 6% margin to a 3% margin (saved me about $700). The website experience could be better, and the navigation is poor. Also, it should have the option of not sending an immediate email right after generating the price report. It is a fair deal to both parties. No haggling necessary - I told them the price I that I had been quoted over the phone by another dealer which was 3% above the wholesale price. They told me over the phone that they would beat that price by $100 and throw in all-weather floor mats. When I arrived at the dealership, they were friendly, no-pressure and we simply concluded the deal as agreed on the phone. Buying a 2009 Mazda MAZDA3, and saving $2500 off of MSRP. I chose a 2009 vehicle after 2010's were already out, so the large manufacturers rebate was the only discount I received as the vehicle was in short supply. I was offered this off the bat. A good dealer to deal with, very honest, and I knew because of car cost canada what the deal was. Leasing a 2008 Mazda MAZDA3, and saving $1000 off of MSRP. One dealer I went to before checking with CarCostCanada said there were no rebates. I subsequently found the grad rebate through here. I did not go back to the original dealer so he lost my business by not being truthful. Buying a 2009 Mazda MAZDA3, and saving $5000 off of MSRP. I chose the dealer upon your recommendation. We (myself and family) did not have to do much haggling, partly because we offered cash. The dealer was very forthcoming and did not try to sell unnecessary items. They even installed a - provided - baby car seat without cost. Very useful. I probably could have negotiated a few hundred dollars more down from the price since the car market is so slow now. Buying a 2009 Mazda MAZDA3, and saving $1000 off of MSRP. If you get the wholesale price report for a mazda and you are in the GTA, Jolene will contact you directly. You don't really need to use a report since Jolene will know that you are a Carcostcanada member and will offer a competitive price. We had a very good and hassle-free buying experience. Buying a 2008 Mazda MAZDA3, and saving $5000 off of MSRP. We chose Jolene because she dealt with Car Cost Canada customers directly. She already had the wholesale price report so you add 3% (average) for profit plus taxes and other non-negotiables (i.e. freight) and that's the price you get. Jolene was aware I knew about the Car Cost price and gave me the best price right away. I just had to choose the model I wanted and didn't have to worry about negotiating. Jolene made the buying process very easy. Buying a 2008 Mazda MAZDA3, and saving $500 off of MSRP. The internet is a valuable tool for research. After narrowing down the car I finally wanted, I took it for a test drive. I then contacted "a lot" of dealers by phone / e-mail. I told them up front that I wanted the Out the Door price and wasn't going to haggle. I finally found one who was willing to deal. It also helped that I felt comfortable dealing with him. The car will be here in about 10 days. The wait begins. Great dealer, great customer service. You may save a small few bucks (if at all) somewhere else but you're not going to get better service. The dealership was very open and offered a fair price based on the wholesale price report. Great person to deal with. Keep in mind, he can give you a great deal but he is the business manager and his main job is to sell you the extended warranties, rust protection, etc. Know beforehand what you want for extras, if any. The CCC and the Mazda cost price were a little bit off. Top notch though. Leasing a 2008 Mazda MAZDA3, and saving $2000 off of MSRP. Shop around, do your homework and be prepared to discuss in detail exactly what you are looking for. I've ended up buying Mazda from the dealership/salesperson recommended by Carcost. Super fast, all over the phone. Pretty much no negotiations at all. I told her how much I want the car for ($300 over invoice) and we had a deal. Perfect! Spoke to 5 different dealers, some willing to negotiate, some that didn't. 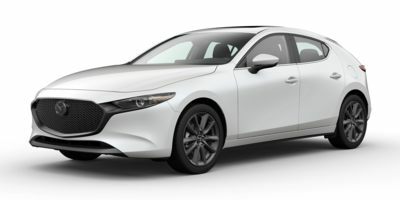 Mazda of Toronto was willing to beat all other offers from other dealers and knowing I was a car cost member talked straight with me about the numbers. I took the information from car cost and created my own spreadsheets so I could figure in dealer profit and come up with a price that I was comfortable with. This assisted greatly in price negotiations which happened rather quickly since I knew exactly what numbers they were working with. As long as you do your homework and scout out the Wholesale Price Report at Car Cost Canada website, dealers recommended by the site will be more willing to offer and negotiate for a reasonable bargaining price. Thanks a lot Car Cost Canada!!! 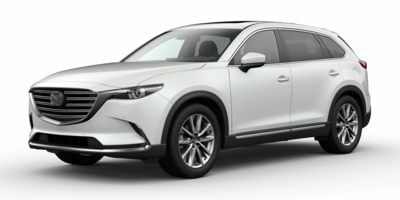 Buying a 2018 Mazda CX-9, and saving $1500 off of MSRP. 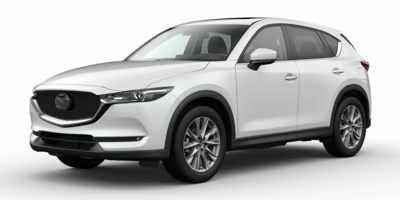 Buying a 2018 Mazda CX-9, and saving $4250 off of MSRP. Buying a 2018 Mazda Mazda3 Sport, and saving $2000 off of MSRP. Buying a 2018 Mazda CX-5, and saving $750 off of MSRP. Buying a 2018 Mazda CX-5, and saving $2500 off of MSRP. Buying a 2016 Mazda CX-5, and saving $2500 off of MSRP. Very quick and painless purchase process. Had carcost reports for Nissan (Willowdale Nissan) as well and they basically lost the sale as their sales manager still thought it was 1974 and offered us $500 below MSRP as if he was doing us a favour; eventhough we made it clear we had the Carcost report and were ready to buy immediately. We walked out and never went back. Felt bad for the sales rep there as he worked hard wooing us. Their loss was Mazda's gain. Buying a 2017 Mazda CX-3, and saving $1000 off of MSRP. 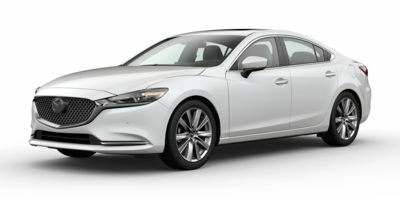 Buying a 2017 Mazda Mazda6, and saving $1250 off of MSRP. The easiest car shopping experience. No hassle for negotiating back and forth in the dealership. Buying a 2010 Mazda MAZDA6, and saving $1500 off of MSRP. Jeff is a business manager who can sell cars, but it's not for everybody. It's just a straight-up sale. No test drives, no time-wasting antics (like back and forth to sales manager). Instead of dealer test drives, one alternative is renting the Mazda vehicle you like (Zipcar, etc.) The cost of rental + CarCostCanada offsets the benefit of Jeff's $ savings, no-stress buying experience and esp. time savings. 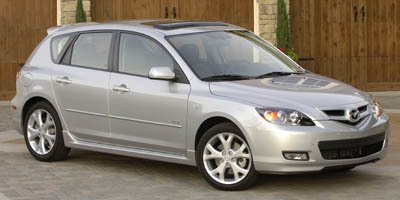 Buying a 2008 Mazda MAZDA6, and saving $6000 off of MSRP. Buying a 2008 Mazda MAZDA6, and saving $1500 off of MSRP. Buying a 2012 Mazda Mazda5, and saving $1500 off of MSRP. I tell the dealer I'm not paying 1$ over wholesale. They can make their profit off some other customer -- I'm the customer who helps them with volume. 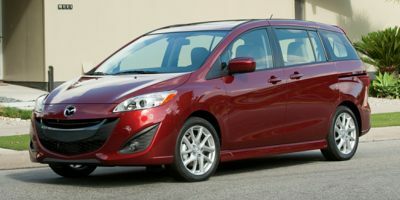 Buying a 2012 Mazda Mazda5, and saving $1000 off of MSRP. This dealer was upfront with all the information that is available on Car Cost Canada, and gave a great price without any negotiating. Buying a 2010 Mazda MAZDA5, and saving $1500 off of MSRP. Buying a 2009 Mazda MAZDA5, and saving $4000 off of MSRP. The report showed me that the dealers offer was fair to both parties. This is an excellent vehicle. Buying a 2008 Mazda MAZDA5, and saving $500 off of MSRP. We seriously looked at two different vehicles. One which is very "hot" in terms of market demand (Mazda 5) and one which is only "popular" (Kia Rondo). As we fully expected, we were not able to "negotiate" very much once we decided the "hot" vehicle better served our needs. Fair enough. We had narrowed the selection down to the Mazda5 and the VW jetta Wagon, but my wife preferred the Mazda. We went to Mazda of Toronto as per car cost. We had leased from there previously so it was easy. Rui and Rana all helped with the sale so it felt like a team. Having the car cost report made things easier, as it created an acknowledged level playing field. No fake negotiations. MoT were very open about the details, invoice price etc., since we were CCC members. It made dealing much easier. We were offered other discounts due to CCC membership as well. Due to the timing (end of July) and the trim level selected (GT) we were more limited in dealing. It took some work to find an available GT from inventory in BC. We were offered aggressive pricing on a GS but wanted the GT. Overall since we were financing, the July incentive rates meant more savings than if we had negotiated a better price a month or two ago when more inventory was available. What negotiations?! They surrender everything. They even offered me a Fair Dealer profit less than I was prepared to offer. It was the easiest car purchase I have ever enjoyed. The only reason for not using CarCost can only be because of ignorance. 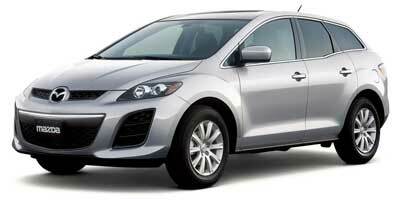 Buying a 2010 Mazda CX-7, and saving $5000 off of MSRP. Cause they were clearing out 2011 models, this dealership only had the colour I was looking for. By knowing the cost price I negotiated the profit the dealer should make. Buying a 2010 Mazda CX-7, and saving $2000 off of MSRP. Buying a 2010 Mazda CX-7, and saving $1500 off of MSRP. Buying a 2009 Mazda CX-7, and saving $7000 off of MSRP. With the help of the report the negotiations was simplified. We had to determine the value of the trade-in only. I used this opportunity to benefit from the Manufacturing discount and rebate. Overall the experience was easy because of the Car Cost Canada report. Buying a 2008 Mazda CX-7, and saving $2500 off of MSRP. Test drive all cars you are looking at, make notes and ask as many questions as you find applicable before making a decision. 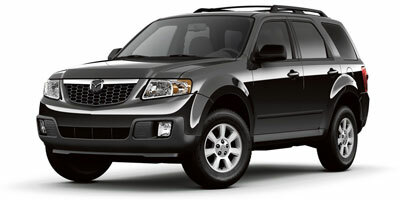 Buying a 2009 Mazda Tribute, and saving $500 off of MSRP. They had the car available in the right color. 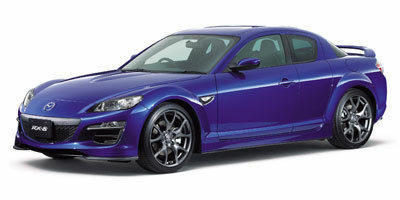 Buying a 2008 Mazda RX-8, and saving $10000 off of MSRP.